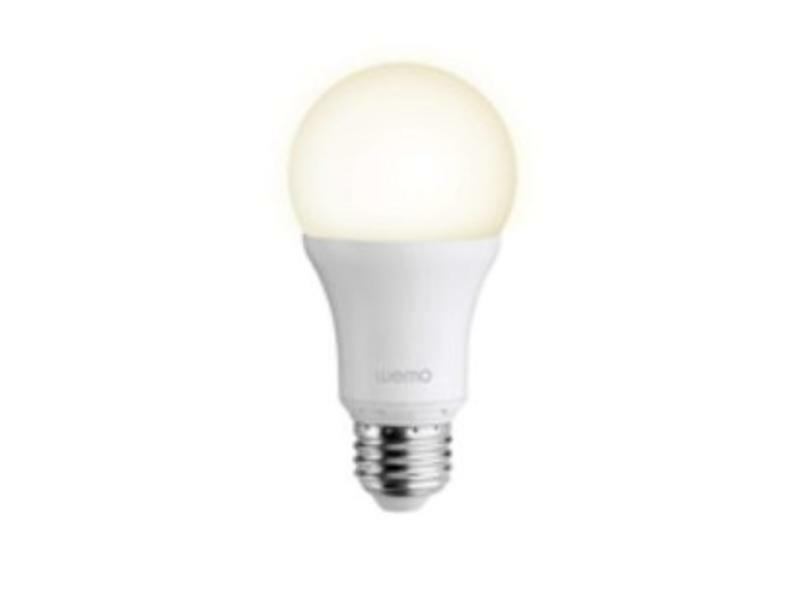 WeMo Smart LED Bulbs give off warm bright light similar to traditional 60-watt incandescent bulbs and only consume 10 watts of energy. In addition, they have a life expectancy of 23 years (based on 3 hours of daily usage), eliminating the need to replace them as often as incandescent bulbs. 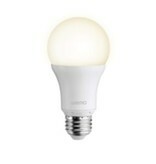 LED bulbs also give off less heat than traditional light bulbs, which reduces your home's cooling costs. Designed to work with the WeMo LED Lighting Starter Set, WeMo Smart LED Bulbs replace the traditional light bulbs in your home and can be controlled from your smartphone or tablet from anywhere using your existing Wi-Fi network and mobile Internet. You can program your light to automatically respond to sunset/sunrise, dim it to watch a movie, or turn it off after you leave home--all from your mobile device. Get the most out of your Smart LED Bulbs with the free WeMo App. You can either take advantage of the pre-programmed app features, or create custom schedules and rules that fit your lifestyle. Ensure the light is always on when you need it. Make sure the lights are on when your kids come home from after-school activities so theyâ€™ll never walk into a dark house again. You can also dim your bedroom light gradually at night to help you fall asleep more naturally, or have your bedroom lights turn on before your alarm goes off--giving you that extra push to get your day started. The app also lets you control your WeMo Smart LED Bulb individually, or you can add additional WeMo Smart LED Bulbs (sold separately) and control them as a group. The free WeMo App is available for Android, iOS, and Kindle operating systems and works on multiple smart devices simultaneously. WeMo is compatible with any iOS device running V6 or higher including iPhones, iPods and iPads; Android device running 4.0 and higher, and any Kindle device. The WeMo product family's modular design allows you to control as much or as little of your home as you like. You can add up to 50 WeMo Smart LED Bulbs to a single WeMo Link and program them individually or as a group. Every WeMo device that you own will appear on the WeMo app. You can program the WeMo Motion to trigger different WeMo devices in your home including WeMo Switch, or WeMo Insight Switch. IFTTT is a service that lets you create powerful connections with one simple statement: if this then that. IFTTT works with the WeMo collection of products to connect your home electronics to a whole world of online apps. Get a text or email when the front door opens, turn the lights on when the sun sets...the possibilities are countless. Visit IFTTT and discover all the exciting recipes you can create with WeMo + IFTTT. 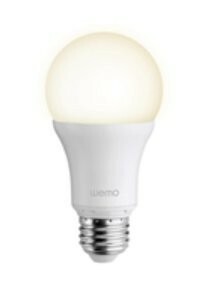 WeMo Smart LED Bulbs and WeMo Link are compatible with your existing home Wi-Fi router and your existing smartphone or tablet running Apple (iOS 6 and higher), Android (4.0 and higher), and Kindle Fire (3.0 and higher).